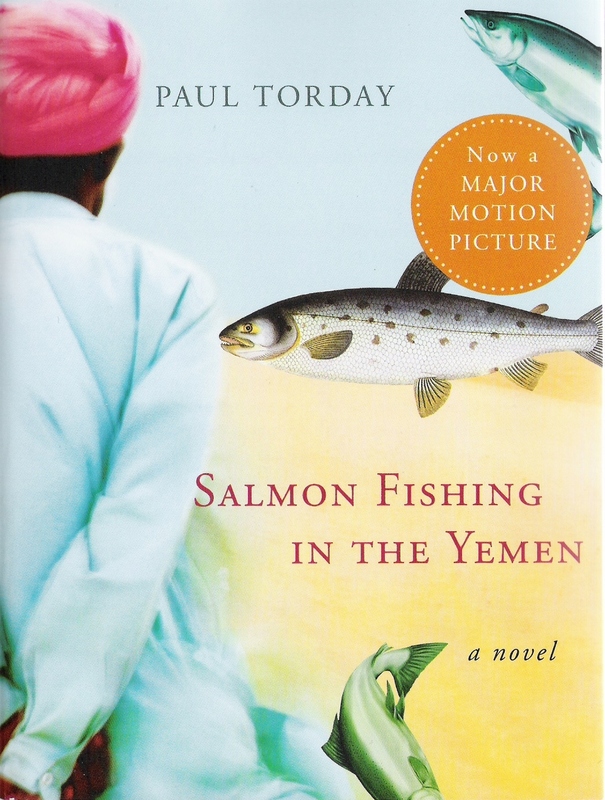 Salmon Fishing in the Yemen, by Paul Torday, Harcourt, 336 pages, $14. This book review is the first of two posts about Salmon Fishing in the Yemen. The second will discuss the movie that the book inspired. Salmon Fishing in the Yemen is a wonderful book about the beauty of salmon fishing and the beauty of finding hope in an often hopeless world. In this book, Harriet Chetwode-Talbot, a partner in the real estate firm Fitzharris and Price, asks Doctor Alfred “Fred” Jones, a fisheries biologist at a government agency in London, to help with an astonishing project. Harriet has a client who wishes to fund introducing salmon and salmon fishing to Yemen. Fred thinks the plan is stupid and avoids Harriet. However, the Prime Minister learns about the proposal and takes up the cause. In a bureaucratic drama, David Sugden, Fred’s boss, summons Fred and tells him he can leave the office with either a lay-off notice or a signed letter eagerly offering to meet Harriet. The ultimatum peeves Fred. Yet, as his wife is about to jet off to bank meetngs in Switzerland, something stirs in Fred. Suddenly, he is enthusiastic about the project. Then Harriet introduces reveals her client, Sheikh Muhammad ibn Zaidi bani Tihama. In the West, many are ignorant of Middle Eastern people and societies. Torday opens a window on life and religion in that region. He shows how people of good will in the West and Middle East can work together and respect each other. This book rests on a wacky idea. Yet with vivid description and a gift for character development, Torday makes wackiness routinely believable. Each person in Salmon Fishing is imperfect but Torday gives most of the characters delightful imperfections, not psychoses. There are beautiful descriptions of Scotland and Yemen, quirky humor, with a kilt, romance, intrigue, political shenanigans and the project itself. In this highly recommended read, Torday takes readers through many surprises as the story moves swiftly to book’s end. The pace and suspense are much like the experience of a big salmon burning line off the reel on its first run after being hooked. Finding Salmon Fishing in Yemen is an experience that may be as challenging as salmon fishing itself. Perhaps with the upcoming movie launch, copies will be more accessble soon. One of my favorite Capital Region bookstores, the Open Door, is planning to order a few copies for the shelf. My favorite California bookstore, Vroman's in Pasadena, says it can order the book. If you bought the book at Vroman's on a Sunday, you then could go over to the Pasadena Casting Club and try some casting!